Feenics Inc is an innovative idea of access control system based on open hardware manufactures. This company established by the access control industry veterans to offer customer oriented access control solutions for all sizes of industries, buildings and places. Feenics access control solution (ACS) is based on cloud based model commonly referred as Access Control as a Service (ACaaS). The core of this entire solution is software platform known as FEENICS KEEP with power restful APIs to integrate with any third party software and hardware. Feenics access control solution advocates for open hardware manufacturing, which allows all kinds of hardware and their related software modules to integrate with the main security system. 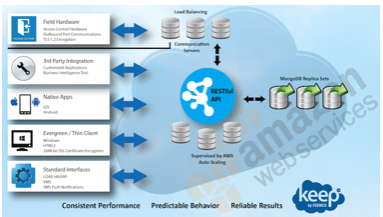 Supports Restful API: Feenics cloud access control platform offers a unique Restful API, where the third party software apps can be integrated into this security access system. You can integrate mobile native app, field hardware, standard web interfaces and other third party tools. Powerful Security: Feenics cloud access control offers mission critical security based on the modern technologies, which are reliable and robust. The major security portfolios included in the platform include two factor authentication, secure socket layer (SSL) and complete end-to-end encryption of data from field device to the access point. Great Resiliency & Availability: The availability and resilience of the system is more than 99.99%, which is powered by many strong mechanisms such as, multi-server load balancing, redundant links, multi-location backups, disaster recovery mechanism and others. Powerful Software Tools: Feenics cloud access control system is supported by powerful Feenics Keep© access control system management platform, which can be accessed through web browsers from anywhere round the world. Powerful iOS and Android mobile apps are other strong tools to manage Feenics access control system. Is There Any Mobile/Cloud Access Components? Yes, the Feenics access control system supports both mobile access and cloud access control components. How does Feenics's Cloud Access Control Works? Cloud access control works through restful APIs offered by the main software platform. Any third party software or intelligent hardware can be integrated into the system. 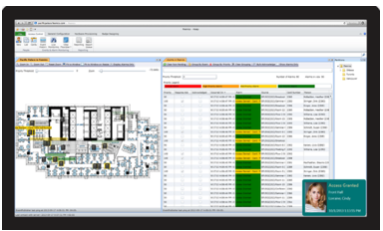 The entire access-control system can be controlled through a web browser or any other homegrown application. You will need to input the authentic user credentials to access the system. How does Feenics's Mobile Access Control Works? To access Feenics Keep access control system, you need to install a native iOS or Android application on your mobile phone. Enter the authorized credentials to access the application. Once the application connects to the main platform over the internet, you are able to run and manage the access control system from your mobile device. When to Choose Feenics ACS? 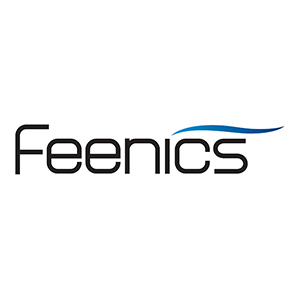 Feenics is the only providers of an open hardware access control service, which is suitable for every kind of user – be it a household or an enterprise user. It is fit for all size solution, which is based on customized implementation of the platform based on customer requirements. Thus, it is good for all!